Super Savings Item! Save 31% on the Wedding Lace Christening Gowns Baby Baptism Dress Newborn Baby Dress by YSMO at SCRHI. Hurry! Limited time offer. Offer valid only while supplies last. 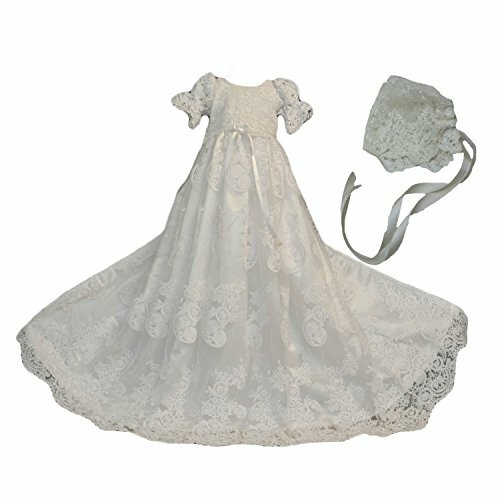 2-piece set includes baptism gown and bonnet. Perfect for christenings,baptisms,birthday party or any other special occasions. Customized size are also available.If you need a custom made size, please contact us and send us your Baby measurement details. If you have any questions about this product by YSMO, contact us by completing and submitting the form below. If you are looking for a specif part number, please include it with your message.